There will be no rich and poor when death are calling you out, money cannot give you eternal life, yes ..it may give you extension but how long? Death is one among the three facts that it will never be changed by any means.That is why we need to make use of the life we have right now, because sooner or later it will be taken from us. The most heartbreaking is when we lost our partner in life, our person. What if that person is declared dead but only to find out she/he is not? Would you believe this? Neysi Perez, a teenager who has already been married, fell unconscious at the lavatory one night and she was assumed dead after both the hospital and the local priest said she didn’t show any signs of life. Already pregnant for 3 months, her loss was a devastating one for his husband. She was buried while wearing her wedding dress. About 24 hours after she was buried, Rudy Gonzales, her husband, visited her remains at the La Entrada General Cemetery. Strangely, he thought he heard something from the inside – it was as if his wife was screaming and banging the tomb..
“As I put my hand on her grave I could hear noises inside. I heard banging, and then I heard her voice. She was screaming for help. It had already been a day since we buried her. I couldn’t believe it. I was ecstatic, full of hope.” Rudy told Primer Impacto. Also, Jesus Villanueva, a grave digger, can attest to the claims. They pulled out the cold and concrete tomb. The family decides to open the casket only to find out that Neysi’s body was still warm and there was a faint heartbeat. She was full of scratches and bruises maybe because of trying to get out from the grave. 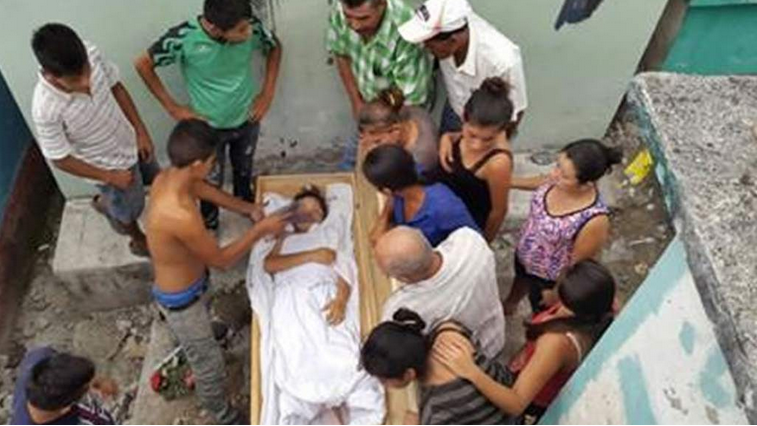 They rushed her at San Pedro Sula Hospital while she was still inside the casket. According to the doctors, Neysi’s heart must have temporarily stopped due to a severe panic attack or may have had a cataplexy attack. A cataplexy attack is often secondary to an intense emotional status such as fear. During which, a person suddenly and temporarily loses voluntary muscle functions, but remains consciously aware. But when Dr. Lopez went through all the necessary process, they said that she’s already dead. And tragically, she may have died due to asphyxia or the lack of oxygen after waking up inside the closed coffin. Maria Gutierrez, Neysi’s mother, believes that her daughter was buried alive. She blamed the medics who assessed her first and declaring her daughter’s death without thinking twice.